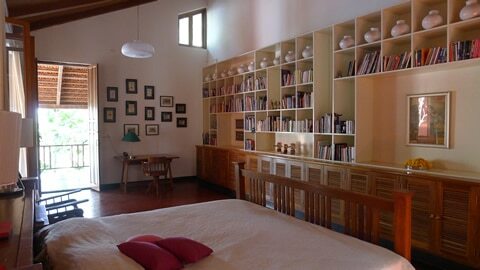 This villa is ideal for families looking for something out of the ordinary. 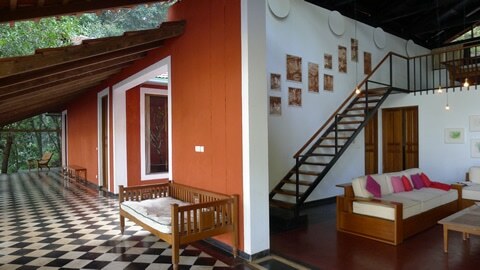 This 3 bedroom plus 1 mezzanine is a perfect getaway from the hustle and bustle of Goa’s tourist spots. 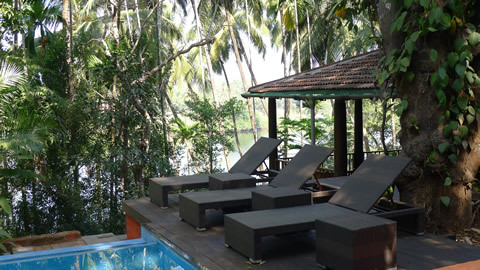 Ensconced in lush, terraced gardens rich with mango and cashew trees, pepper plants, bananas and lanky coconut trees, one is secluded, private and surrounded by nature. 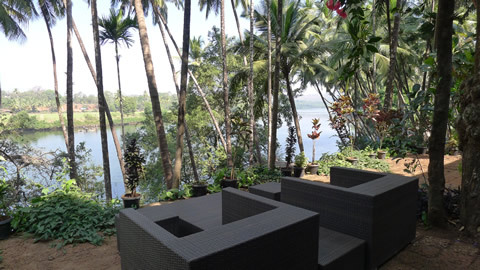 The villa is located at the end of a cul-de-sac, down a narrow village road, on the banks of the Chapora river. 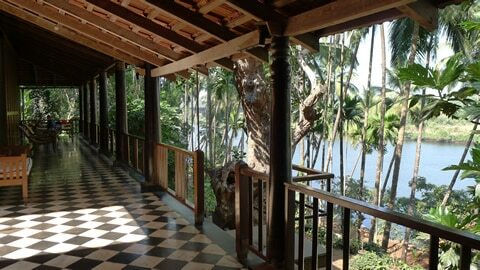 The view from the sprawling verandah across the river and the fields is both romantic and inspiring. 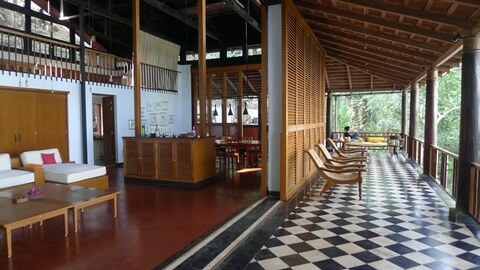 On the 2.5 acre estate there’s even it’s own 100 year old spice plantation. 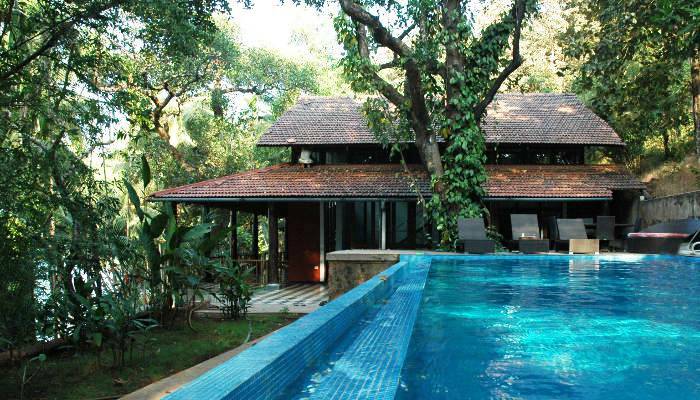 Designed by one of the leading architects of India the villa is an effortless blend of the open space design of modern living complete with mod cons, art, and a pastiche of floor tiling along with the rustic beauty of design elements like rosewood pillars from Kerala and wooden panelling. The 3 en-suite double bedrooms are spacious and air conditioned. One bedroom, which overlooks the river front, has a mezzanine floor and is ideal for a family. 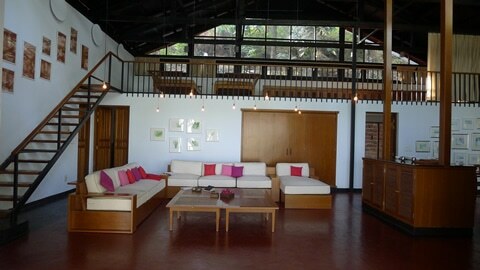 The second mezzanine is a private upper floor in the main house. The mezzanines are ideal for children.